POWER8workshop – this cordless benchtop product was the world’s first glimpse at what could be achieved with cordless power tool technology. The 4 cordless power tools combine with the case to transform into another 4 tools – the drill becomes the drill press, the circular saw becomes the table saw, the jigsaw becomes the scroll saw and the torch becomes the lamp. 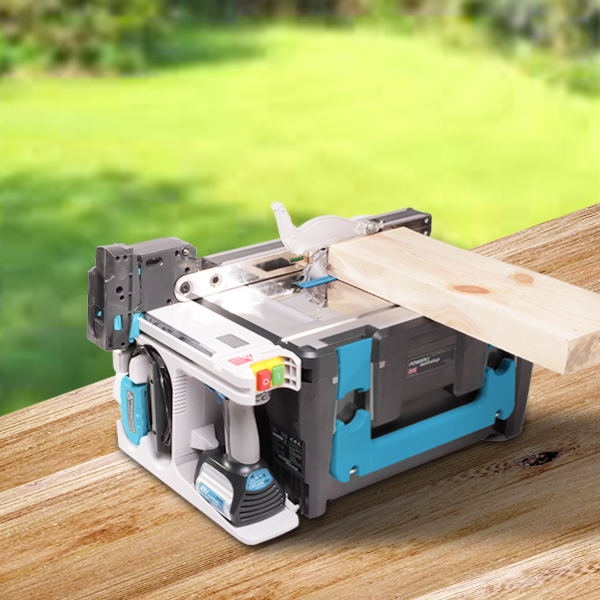 The POWER8workshop was the first portable compact cordless workstation to enable both homeowners and professionals to conduct their DIY away from the home without worrying about setting up a workbench, having mains power and tripping over cables. The product was then featured on The Gadget Show, and Dragons’ Den (where the Dragons fought to invest in the business), and won the Federation of Hong Kong Industries’ Consumer Product of the Year Award. The POWERquattro was created as a good balance between price and performance. This includes a drill and circular saw and the user can choose from any of the CELPRO or other 18V tools and upgrades to create a custom kit to suit their specific needs. Sales of the POWER8workshop and interest in the product has always been good, but the past few months has seen interest surge all over again following a Korean dealer posting a video on his Facebook page, which has generated a massive 50MILLION views so far! Check out the video on the Homepage.